Auto valuation firm, CAP Automotive, has revealed that used Land Rover Defenders are gaining in value due to discontinuation of the model. While officially Land Rover is still building the now defunct model, it has announced that remaining supplies are exhausted and no new orders can be taken. When Land Rover announced that the Defender would no longer be produced from December this year, fans of the utilitarian off roader began snapping up the final versions. The iconic Defender has been made in similar form for nearly 70 years and has become a favourite of Queen Elizabeth II, the military and rural farmers, as well as the urban fashion pack. However, Land Rover concluded that it was not economically viable to re-engineer the car to comply with modern safety regulations and, as a result, the car was discontinued. Land Rover has announced that it will be releasing an all new replacement for the Defender but this isn't expected to see the light of day until 2018, and that the new model would, for the first time, be built outside the UK. The firm will be building the new Defender in Slovakia, investing £1 billion in a new, purpose built factory with a capacity for 300,000 vehicles. Industry rumour suggests the new model will leave its image of a rugged workhorse behind in favour of a trendier leisure vehicle in a beach buggy style. 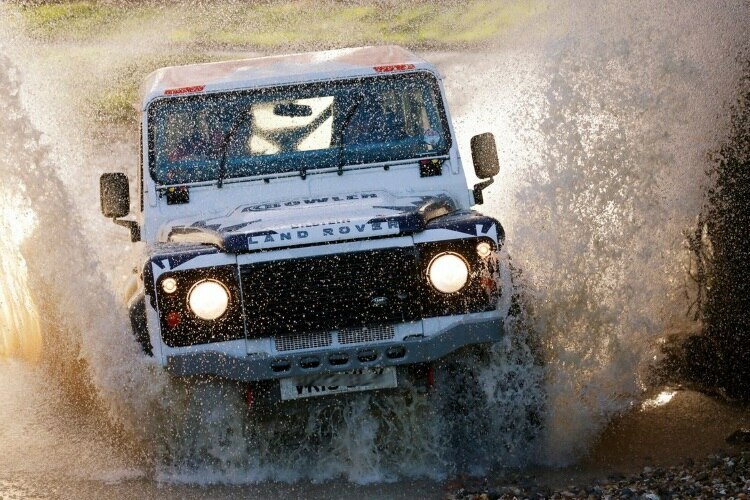 The Defender was not originally due to be replaced at all but so popular was the car that the public clamoured for a replacement and Land Rover was obliged to respond. However, it may now be wondering if canning the original model was the right move after its imminent demise has sparked a buying frenzy. Not only has the firm sold out of the last production run earlier than planned but desperate buyers are paying more for used Defenders than the original list price. In one example, CAP Automotive found a Defender 90 2.2D LXV from 2013 with mileage of 6,151 on sale for £39,654 - that's over £10,000 more than it cost new. A Defender 110 2.2D XS station wagon from 2015, with only 780 miles on the clock, was up for £35,991 - £2,000 above list price. Those Defender owners who bought new in the last few years could potentially turn a tidy profit by selling their cars to desperate buyers, who are no longer able to buy a new model. CAP Automotive claims that the Defender has joined a small and very exclusive group of vehicles, which command a premium over list price, thanks to its iconic image. Specialist dealers and modifiers, such as Twisted, apparently still have limited stock of new Defenders. Twisted modifies and tunes the basic Defender to create a far more sophisticated machine, but prices for these versions start from £40,000, while the standard version of the entry level Defender 90 costs £23,100. Recently, Twisted placed an order with Land Rover for 240 new Defenders - its largest investment yet - at a cost of £7 million. This means the firm has secured a supply of new Defender stock for two years to come. It can take 300 hours to apply the Twisted treatment to a Defender, with work ranging from minor tweaks to full rebuilds. However at the moment, such is the frenzied demand for the Defender that even that stock could soon sell out, leaving existing Defender owners in the enviable position of owning a car which is gaining in value instead of depreciating. Even so, the 4x4 is so beloved that many owners will be reluctant to sell.